When Ohio State upset Michigan over the weekend, the beauty pageant came into full focus for the final four–and I am a man who spots the blemishes. Rivalry week was also elimination week for several teams that fell by the wayside and no longer have a shot at the playoffs. Say goodbye to Washington State, LSU, Utah State and West Virginia. Say hello to UCF, Ohio State and Oklahoma. So lets go over a few scenarios and see who is in and out of the college football playoffs. Notre Dame is in the playoffs. If Clemson and Alabama both lose this weekend, it’s unlikely the Irish could move up to the top spot but they would likely move up to the second spot. Notre Dame does not play in a conference championship game so their regular season is complete with the Irish remaining undefeated at 12-0. Is Alabama in the playoffs already? What if they lose to Georgia? What if they get blown out by Georgia? I’m not 100 percent sure Alabama would make it if they get walloped by the Dawgs in the SEC Championship game in Atlanta. A close loss is not a worry. The Crimson Tide would drop no lower than fourth if they lose by 10 points or less. A Georgia blow out win puts the entire football world into a tail spin. Alabama has easily and clearly been the best team all season. Who might get in over the Crimson Tide? A one loss Oklahoma team that avenged their only loss on championship weekend? An Ohio State team that lost to Purdue by almost 30 and survived a last second two point try to beat Maryland? It’s tough to see a scenario where Alabama is out but here is mine. If Georgia beats Alabama decisively–say 35-3–while Clemson and Oklahoma both win big. You might get Clemson, Georgia, Notre Dame and Oklahoma in the final four. Is Clemson in the playoffs already? No one has been in a game with them since freshman QB Trevor Lawrence’s second start, although arch rival South Carolina did make things uncomfortable for Clemson. The Tigers led most of that game by only two touchdowns. Let’s say Pitt somehow pulls off a miraculous upset. I still don’t favor any team moving into the final four over Clemson, except for perhaps Oklahoma. Again, the Sooners will have beaten the only team that beat them if they can overcome Texas in the Big 12 Title game. I would be surprised if Clemson does not get the nod as long as they do not get blown out. Also, I don’t see any way you put Ohio State in the playoffs over Clemson. The Buckeyes have better overall wins than Clemson but Ohio State has been living on the edge all season, and I’d find it hard to see the committee rewarding them for shoddy play. Georgia has one way to make the playoffs: beating Alabama. Simple, right? If the Dawgs lost a close game, can a two-loss Georgia team make it? Here’s one unlikely scenario. Georgia loses to Alabama 23-20. Texas beats Oklahoma and Northwestern upsets Ohio State. Now you have no one loss teams to look at for the fourth and final spot in the playoffs. It would seemingly come down to UCF or Georgia. Would you take an undefeated, non-Power 5 team that does not have its Heisman candidate quarterback or would you take the team that just barely lost to Alabama and give them a rematch? This debate is the essence of why I love college football. 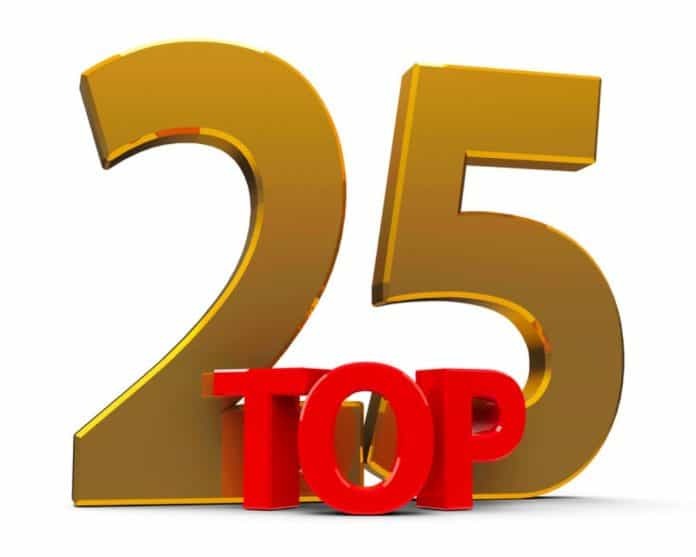 Here is my Top 25 for the week beginning November 25th. Alabama (12-0) Obliterated Auburn in second half. Clemson (12-0) Some Clemson fans are upset the team gave up 500 yards passing to South Carolina. They’re not upset Clemson scored 8 TDs against their arch rival. Notre Dame (12-0) Deserve the playoffs after USC tried to worry them for a moment. Georgia (11-1) Must get chunk plays to beat Alabama in both run and pass game. Ohio State (11-1) Not a believer but they did score 62 against Michigan. UCF (12-0) I am fascinated to see if DJ Mack can beat Memphis and bring UCF a conference title. Oklahoma (11-1) Don’t tell me that defense is worthy of having them ahead of UCF. Michigan (10-2) Oh, Jim Harbaugh, that has to really hurt. Washington State (10-2) Heartbreak in Pullman. Now they don’t even win their own division. LSU (9-3) They beat Auburn, UGA, Miami and Mississippi State. That’s better than any other three loss team. Texas (9-3) Win over Oklahoma stands out. Florida (9-3) Win over LSU is the next best win amongst this group of teams. Washington (9-3) Lost to Auburn early, finished strong by beating Washington State. Kentucky (9-3) Snell yes! If you don’t know that reference look it up. What a great season for Kentucky. Utah (9-3) Give them credit for winning with the backup quarterback down the stretch. West Virginia (9-3) I see they are a good team, but the wins and losses don’t back it up. Really beat no one that was really good save the two point conversion to shock Texas. Penn State (9-3) Again, just look at the wins. They beat Wisconsin, Iowa, and Pitt. Meh. Cincinnati (10-2) Luke Fickell has them on the right track. Syracuse (9-3) They fought back from late season struggles to handle fading Boston College. Boise State (10-2) Would like to see them with another shot at a Power 5 school. They lost early at Oklahoma State in a close one. Mississippi State (8-4) Thrashed Ole Miss in the Egg Bowl. Texas A&M (8-4) What a thrilling 74-72 win over Texas A&M in seven–yes, seven– overtimes. Utah State (10-2) Lost a thriller to Boise and now sit at home on Championship Saturday. NC State (8-3) Needed overtime to beat UNC? Really? Northwestern (8-4) Should this be Missouri? Wisconsin? Fresno?